Nov. 9: District 4 4-H Shooting Sports Committee, 6 p.m., Fayette County Extension Office. Nov. 18: Harrison County 4-H Council Meeting, 7 p.m., Harrison County Extension Office. April 26-28: Harrison County 4-H Hunter and Home Gun Safety Education, April 26 and 27, Harrison County Extension Office, 6-9 p.m., April 28 at the Roberts Family Farm on Mudlick Road. June 29-July 2: Harrison County 4-H Camp, North Central 4-H Camp. July 8-17: Harrison County Fair. 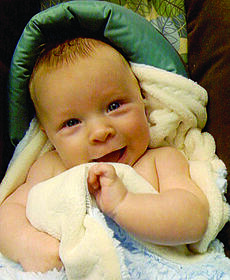 Aiden Wayne Cash was born to Larry and Lesley Cash, Lexington, on July 21, 2009 at Central Baptist Hospital, Lexington. He weighed 7 lbs. 13 oz. Where could my brother be? When he realized he’d lost his harmonica, he left the tent before we could stop him. Dad immediately went to find Woody. “Don’t worry, Chloe,” Dad reassured me. I’ll find your brother. You and Mom get warm clothes ready for Woody. I’m sure he’s one chilly dog now!” While Dad was gone, Mom and I gathered up towels and blankets so Woody could get dry and warm. Gathering up the towels, I saw Woody’s backpack. The pupcorn, electric blanket, and art supplies were still stuffed in the bag. HIM – Healthy Informed Men, Nov. 5, 8-11 a.m., Harrison County Extension Office. All men are invited to participate. Healthy breakfast served with educational topics discussed. No registration. No cost. Soil Test Price Increase – As of Jan. 1, 2010 all soil tests will cost $5.50 per sample. Get your soil tests in by the end of the year and beat the increased cost. To get you ready for the holidays, Harrison County Extension Homemakers are preparing for their annual Holiday Foods Workshop. “In The Mood for Food” is this year’s theme for the dinner. Mark the date now on your calendar to attend this sit down, white table cloth dinner on Nov. 16. Dinner will start at 6:30 p.m. with 4-H’ers serving: two meats, two salads, three side dishes, bread, one drink and three deserts will be prepared by Extension Homemakers for you to taste. You can purchase tickets at the Harrison County Extension Office for $10 per person. Tanner Allen Hudgins of Harrison County FFA Chapter, in Kentucky was named a national finalist in the Agricultural Mechanics Repair and Maintenance Entrepreneurship Proficiency award program in July, 2009. Four finalists competed in October to be named the national winner during the 82nd National FFA Convention in Indianapolis, Ind. Hudgins was named the runner-up at the convention this past week. HIM (For Men Only) Revving up for Good Health – Thursday, Nov. 5 at the Harrison County Extension Office. The seminar begins at 8:30 a.m. with breakfast. Diabetes Eye Screening – Thursday, Nov. 5. The Diabetes Coalition and Dr. Brett Hines are sponsoring this event. For more information call 234-1424. •Kathryn “Kate” Darnell of Cynthiana and Andrew S. Rash of Franklin, Ky. The couple will marry in Key West, Fla. on June 5, 2010. •Kimberly Wells Kendall and Jamie Moore both of Mt. Olivet to marry Saturday, Nov. 7 at Mt. Olivet First Christian Church. at 3:30 p.m. Births announced this week are: Dakota Lynn Jones, Oct. 19, daughter of John D. and Jennifer Jones; Maxwell Victor Ogden, Sept. 25, son of Rebecca and Adam Ogden. Cynthiana residents will have a new cable provider. Adelphia cable company buys out Frontiervision. The Elks National Foundation of the BPO Elks of the USA will award nearly $2.1 million in college scholarships to a total of 500 high school seniors nationwide through its Most Valuable Student scholarship contest. a theory about predicting the severity of winter weather. I have a wait-and-see attitude, but for fun, let’s consider some of the natural predictors that may or may not be of sound authority. The woolly worm is a favorite and the folklore says that winter will be a long cold one if they are predominately black and they start moving about before the first hard frost. These seem ominous: If there are three severe fogs in June and July it means an early snow; and for every fog in August there will be a corresponding snow in winter. 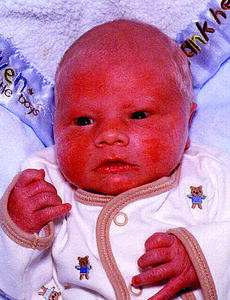 Jacob Daryl Clay Hensley was born to Jessica and Jason Hensley on Sept. 3, 2009 at Harrison Memorial Hospital. He weighed 7 lbs. 1 oz. 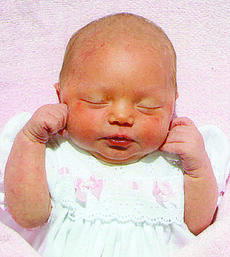 Kennedy Paige Cantrell was born to Brooke and Todd Cantrell on Sept. 29, 2009, at Central Baptist Hospital. She weighed 6 lbs. 6 oz. Nov. 2: Robert Wigginton 4-H Memorial Award due to the Harrison County Extension Office. Nov. 2: 4-H Project Records due to the Harrison County Extension Office. Nov. 4: 4-H Knitting Project Organization for returning 4-H Knitters, 3 p.m., Harrison County Extension Office. Sydney Bradleigh Callahan was born to Brad and Renee (Ishmael) Callahan of Georgetown, Ky., on Aug. 7, 2009 at Central Baptist Hospital in Lexington, Ky. She weighed 7 lbs. 14 oz. 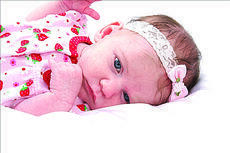 Births announced this week are: Kelby Ann Gaunce, Oct. 15, daughter of Kevin and Lori Mitchell Gaunce; Tyler Wayne Hunt, Oct. 6, son of Larry Jr. and Brenda Hunt; Allison Brooke Lawrence, Oct. 13, daughter of Paul and Melissa Lawrence; Ryan Rees Smiley, Oct. 13, son of Stacy and Terry Smiley. A large area at the corner of Penn and Poplar streets, which was once flooded and condemned, is now the site of four new homes. The Cynthiana Housing Authority opened doors for the new Housing Authority Learning Center at 137 Cherokee Dr.
* Cynthiana Democrat, Jan. 5, 1928 - “A quick picture of the new car that seems destined to write a new chapter into the history of the automobile business may be had by noting the following highlights of the 1928 Chevrolet: Extended wheel base, greater speed and power, four wheel brakes, longer, roomier Fisher bodies, new Duco colors, thermostat cooling, shock absorbing springs, motor enclosure and indirectly lighted instrument panel and other advantages built in as a result of lessons learned thru 13 years of constant progress. My harmonica had to be here somewhere. I had it before we arrived at the tent.It was raining cats and wiener dogs! I should have worn my raincoat, but I didn’t know I would be gone so long. Oh no! I hadn’t told my family I was leaving. When I realized I’d dropped my harmonica, I thought I could walk outside the tent and find it. I had meandered off in the pouring rain without telling anyone. I was in trouble – in more ways than one! I had a strong suspicion the doghouse was in my future. My goal was to locate my instrument and return to the tent. What Is Your Stroke Risk? – Thursday, Oct. 29, 10 a.m. and 7 p.m. at the Harrison County Extension Center. Cheryl Case is presenting the lesson. Learn your risk and how to prevent stroke. Women in Agriculture Conference – Nov. 4-6 in Bowling Green. Deadline to register is Oct. 15. Blue Hydrangea Quilt Raffle Tickets for Ovarian Cancer – Purchase tickets at the Extension Office, Harrison Memorial Hospital, Hospice and the Cynthiana-Harrison County Public Library. Drawing is Dec. 15.